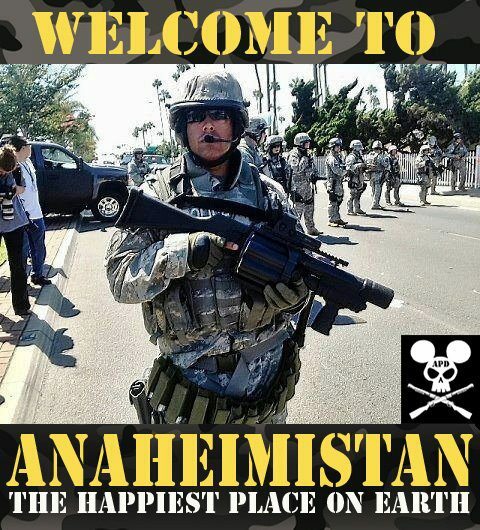 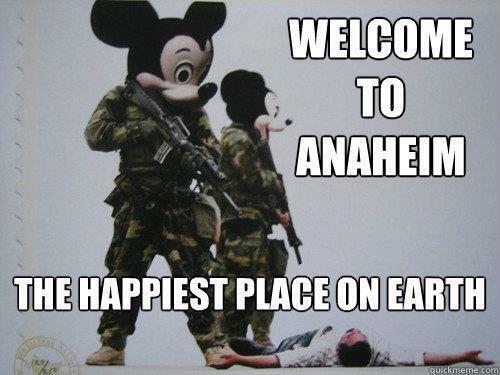 US Nameless Paramilitary @ Disney World Anaheim in Green Camo MILITARY SOLDIERS SWAT Uniforms ! 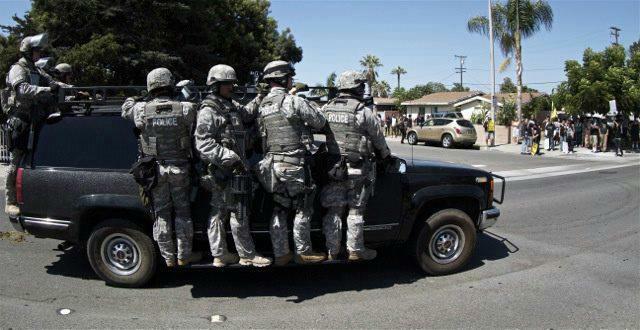 ARE these Paramilitary FOREIGN MERCENARIES, NATIONAL GUARD, MILITARY, SOLDIERS OR POLICE ? 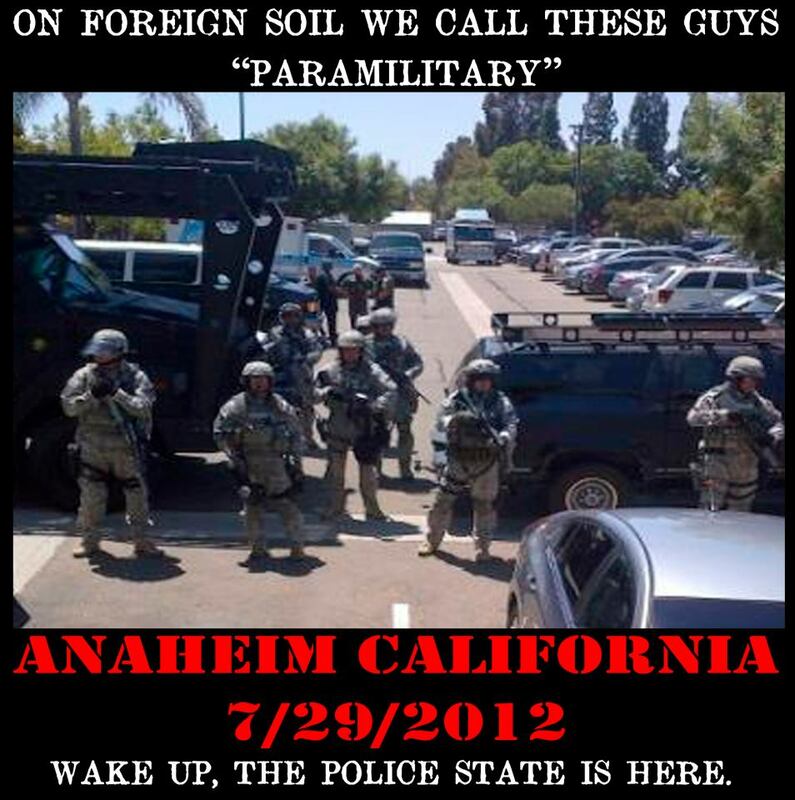 EVER HEARD OF POSSE COMITATUS ? 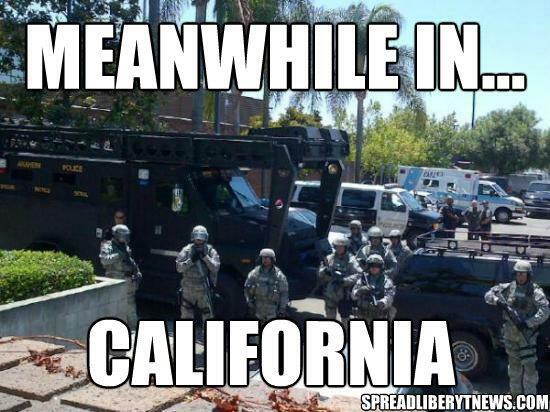 LOOKS LIKE, SMELLS LIKE MARTIAL LAW !!! 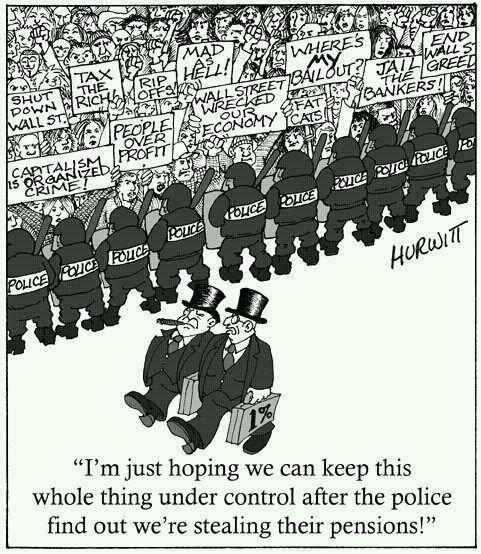 POLICE STATE ENOUGH YET ? 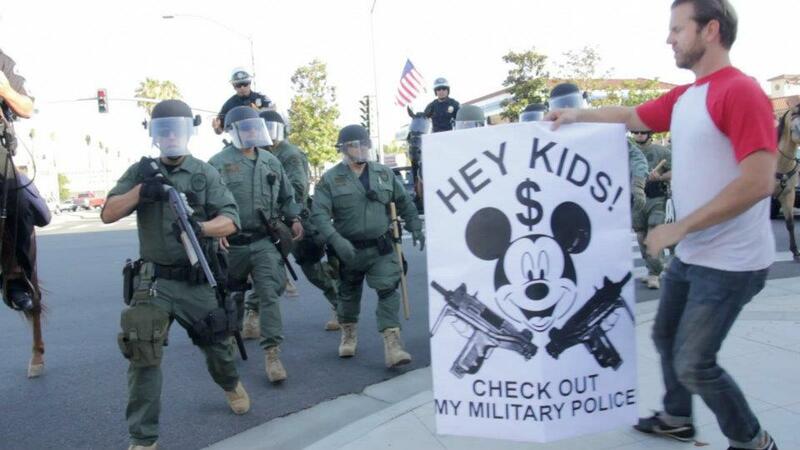 EVER HEARD OF NDAA, NDRP, HR347 & PATRIOT ACT ? 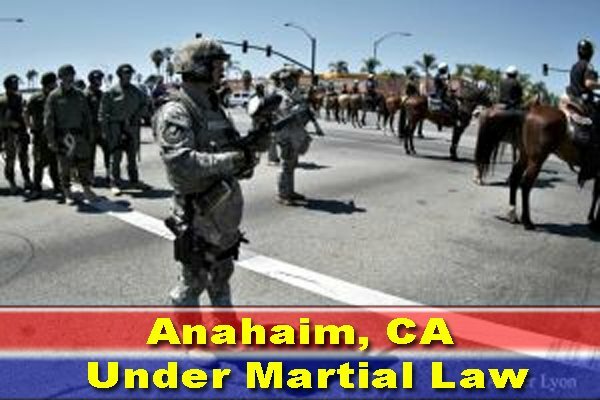 THIS IS A TEST PILOT RUN IN PREPARATION FOR THE RNC IN TAMPA (SEQUEL TO DNC/RNC 1960’S CONVENTION RIOTS &/OR KENT STATE MURDERS) !!! 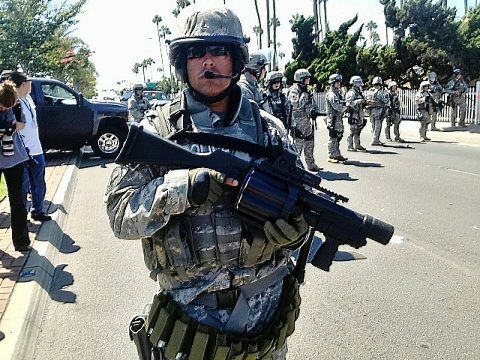 NOTICE THE GRENADE LAUNCHERS OR THE SUBTLE CHANGES OF A BLUE POLICE SWAT UNIFORM TO GREEN MILITARY US PARAMILITARY SWAT UNIFORMS WORN IN IRAQ ? 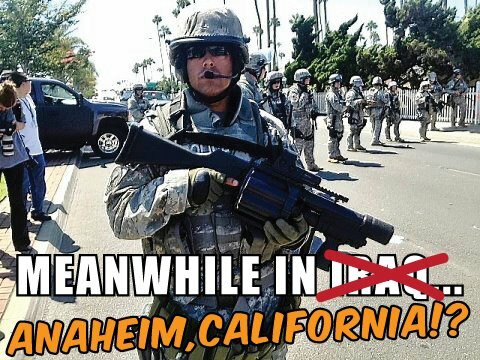 NEXT CHANGE WILL BE BABY BLUE UN HELMETS WORN IN AMERICAN BY ACTUAL FOREIGN MERCENARIES FROM NATO NATIONS !!! 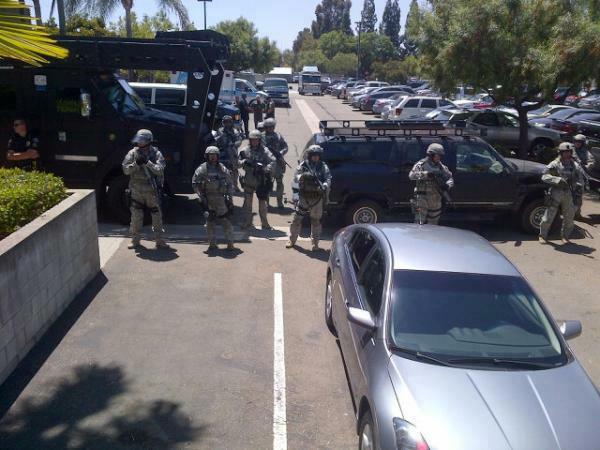 August 3, 2012 Daniel M. Parkman, Sr.